It's official: We're almost a full 12 months into 2018, and the excitement and anticipation of New Year's Eve and the fresh beginnings of 2019 have reached an all-time apex. Here at Byrdie HQ, we're extra pumped (more so than any other year!) because there's so much exciting beauty-centric inspiration on the horizon. We've already spent some time chatting with experts to predict the biggest trends in certain categories (like fitness), but we thought it'd be even better to put together a comprehensive report detailing the major up-and-coming trends within five of our favorite beauty categories: makeup, hair color, haircuts and styles, nails, and skincare. Naturally, we tapped some of the most knowledgeable, skilled, and celebrity-loved experts in each of the above fields to get their expert intel regarding 2019 and all it has to offer our beauty game. Want in on their secrets? Keep scrolling for Byrdie's official 2019 Beauty Trend Report. "I predict we will see haircuts and styles with a very clear direction in 2019," celebrity hairstylist Jillian Halouska tells us. "I think extra-long hair is going to make a huge comeback. Look to girls like Zoë Kravitz, Awkwafina, Lily-Rose Depp, Sasha Lane, Katherine Langford, and Grace Van Patten." "After almost everyone participating in the major 'lob' trend the past few years, I think standing out and taking risks instead of fitting in and playing it safe is going to be the 2019 mantra," Halouska continues. "Think very chic and short or a drastic bang." Or go for both à la hair chameleon Julianne Hough. When Beyoncé's very own colorist gives us a major 2019 color prediction, our ears are instantly pricked. According to celebrity color goddess Rita Hazan, warmer but still neutral tones like toffee, caramel, and buttery blondes will be trending in 2019. We think Beyoncé's gorge mane kind of manages to master all three, no? "A return to natural color is on the outlook for 2019, but when I say natural, I don't mean, you know, natural! (We aren't crazy.) I'm talking about a more natural, seamless blend of hair color," explains celebrity color master George Papanikolas. "This trend is more subtle and organic-looking. You can use natural origin products like Matrix Biolage R.A.W. Color Care Shampoo and Conditioner ($50 for both) with coconut milk and meadowfoam as starring ingredients. This product helps protect color-treated hair, leaving it soft and shiny with lasting color vibrancy." It's the perfect complement to a natural, glossy-looking hair color, like supermodel Adriana Lima. "In 2019, we are going to see more brunettes and what I like to call the 'cold-gold brunette,'" predicts celebrity colorist Cassondra Kaeding. "This shade allows you to have the best of both worlds—the cool tone along with some pieces of gold for some pop and movement. Last year we saw a lot of warm brunette colors, but this year you will notice a softer ashier dimensional color. Time for a change of tone." Coined as "Irish gone French" by celebrity colorist Chad Kenyon, he references this gorgeous golden-red hue he created as a shade to spot for 2019. "As fashion continues to travel down the roads of neobaroque, art nouveau experimentalism, and cubism layering, hair color will scream audaciously. The effect this is having on my hair color clients is next-level inspiration for me. Many of my girls want newness in all aspects of their lives and are asking me for bolder, warmer, richer tones. Hyper-rich strawberry blondes, vibrant apricots, fiery copper redheads are going to be showcased in a big way in 2019." Kenyon used the same "reimagined retro" inspiration to create this bold, bright-blonde hair color for Kiernan Shipka, star of Netflix's smash-hit teen-cult series, Chilling Adventures of Sabrina. He predicts the brilliant flaxen shade will carry over in a big way for 2019. "I think we are going to continue to see a lot of color in 2019, specifically a strong resurgence of anything '90s-inspired. Think sheer pastels (she loves this pink from Jinsoon and the below blue from Chanel! ), animal prints, glitter, and pops of neon—especially on accent nails," celebrity manicurist Mazz Hanna tells us. Also, make way for the sparkle! 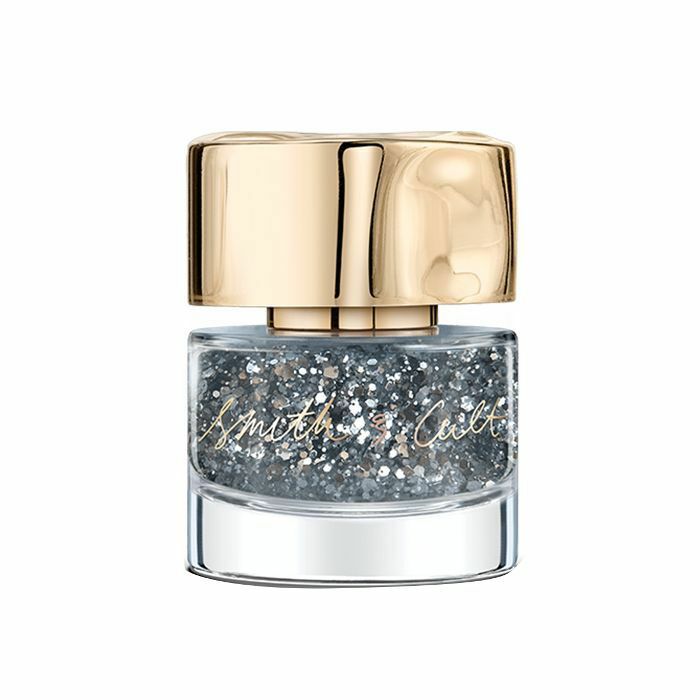 Hanna says she predicts glitter will still make a statement for 2019, and rhinestones will take dramatic effect as well. "I also think that we are going to see rhinestones make a huge comeback, which I’m personally very excited about!" she says. "Judging by what we saw on the runways at the spring 2019 shows, I think that negative-space nail art will continue to be popular. 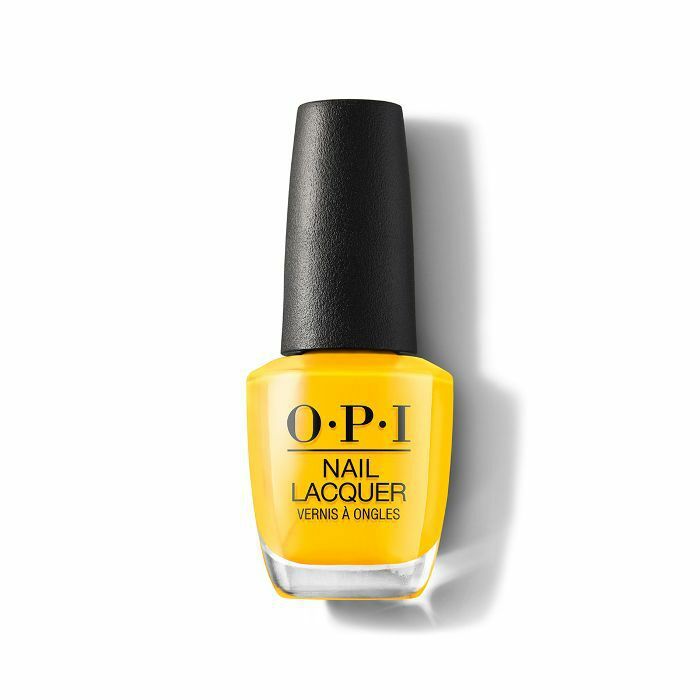 Think playful French manicures in fun colors, squiggles on a sheer base," Hanna continues. 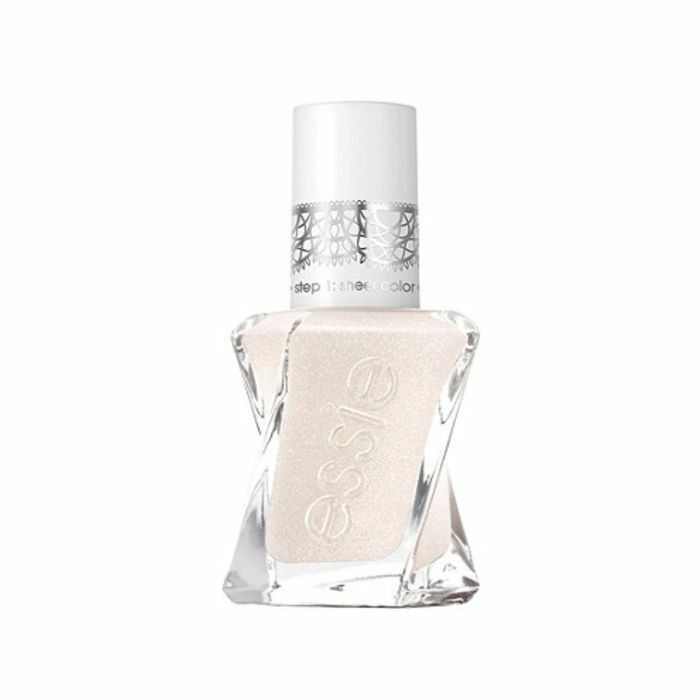 She tells us she's loving this gold glitter–spiked shade of sheer vanilla. "Besides nudes always being the staple choice, I think fun colors like camo and olive green and mustard yellow will be major nail color trends for 2019," shares Los Angeles–based nail guru Hang Nguyen. She prescribes this exact shade from Oribe and the bold below from OPI. 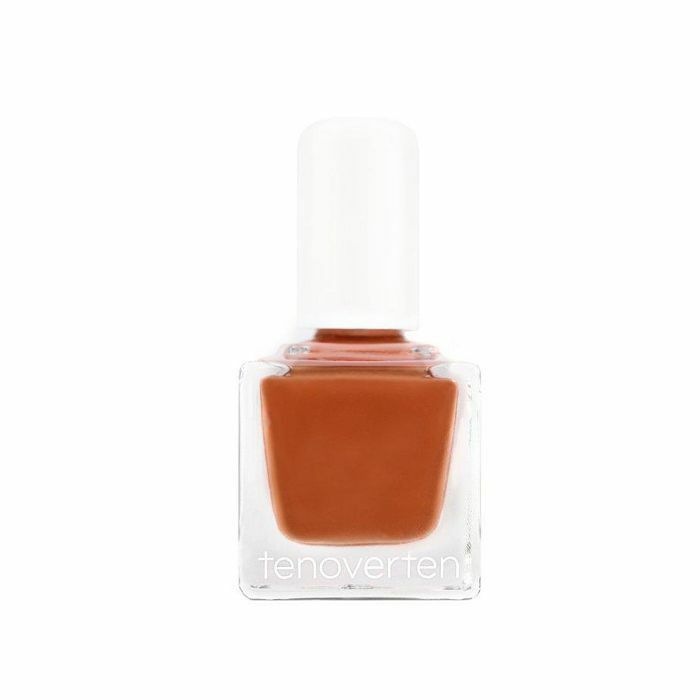 "Also, a great burnt orange has already paved the way for being a beloved polish color for fall and winter, and yes, into 2019! I believe it’ll be a popular choice for spring summer as well," Nguyen confirms to us. "I think we will continue to see a '90s trend for 2019," muses celebrity makeup artist Quinn Murphy. "Think polished makeup that brings out your best features, but is more understated, streamlined, and modern than what was actually worn in the '90s. This time around it will be done even better—no dark lip liner or flat browns, but rather soft lip definition utilizing a hint of brown, but with a warmer undertone. Somewhere between a brown lip and your actual lip color. "Brush up on your eyeliner (he recommends this one!) because that is the key to achieving this look. It can be a soft smudgy pencil close to the lash line or a liquid liner that flicks out at the end. Skip the contour and frame the face. After the makeup is done—a great foundation like Giorgio Armani Luminous Silk ($64) will be key—take a large fluffy brush and frame the face with bronzer along the temples, under the cheekbones and jawline." "Single-swipe eyes are going to be big for 2019," predicts makeup artist and Hairy Little Things creator, Alix Taylor. "Think one color on the lids using regular shadow or my favorite glossy cream shadows. You can either keep it with an earth tone or really have fun with it choosing something like a burnt orange or magenta. When playing with color on the lids make sure that you aren’t doing too much elsewhere on the face. If you play up the eyes, make sure you downplay with the neutrals on the lips and usually vice versa. "For the lids, always have some sort of base on them before any shadow, powder, or cream. I like to use a little bit of concealer to neutralize the lids before my application. I also apply cream shadows with my fingers, start at the lash line and diffuse up. If you are working with a metallic-sheen shadow, use the pad of your fingertip to stamp the eyelid right above the iris, this creates an eye-opening effect." "Everyone is joining the wellness movement, and I believe the makeup trends are going to reflect this. We will all be covering up our skin less and using tinted moisturizers and CC creams rather than full foundations," Taylor continues. "With this minimalist approach for skin, we will be pairing more cream-based products to enhance naturally radiant skin—matte, cream bronzers and poppy-colored cream blushes. Skip the highlighters when using these types of products and focus more on creating warmth in the face." For the perfect wash of bronze, she loves Chanel Soleil Tan de Chanel Bronzing Makeup Base ($50) and Milk Makeup Matte Bronzer ($24). For a natural burst of color on the cheeks, she suggests Tata Harper Your Ruby Red Lip & Cheek Tint in Very Naughty ($39) or RMS Lip2Cheek in Beloved ($36). "When it comes to creating the perfect base, application should always start with clean and hydrated skin," says Taylor. "If you want light coverage and want to let your freckles show through, use your hands to smooth your tinted moisturizer over your skin. Using your hands creates a sheer veil, while using a brush creates more of a medium coverage, and Beautyblender or sponge is more of a medium-full coverage. (Pro tip: If you have an event that you want the J.Lo glow for, apply your skincare and then seal your products in and close the pores by rolling an ice cube all over your face and neck. Then proceed with your base.)" "In 2019, we will also be seeing a return of the lip. I foresee this naturally radiant skin, paired with a raspberry or red-toned lippy to tie in with a subtle cream blush," Taylor tells us. And since perfecting a bold lip can be tricky, she suggests the following: "If you are using a liquid lipstick, make sure you are applying a layer of lip balm underneath to keep the lips from getting crusty. Additionally, you can also use lip balm to remove liquid lip stains!" "There are a few new products in town with legit scientific backing," says Nancy Samolitis, co-founder and medical director of Facile Dermatology + Boutique. "These can be integrated with your old standard glycolic, vitamin C, retinoids, and sunblocks. One of them is called Senté Dermal Contour Pressed Serum. This lightweight serum contains many of the building blocks that help grow new dermal tissue and, unlike hyaluronic acid serum, they actually absorb into the deeper layers where the effect occurs. 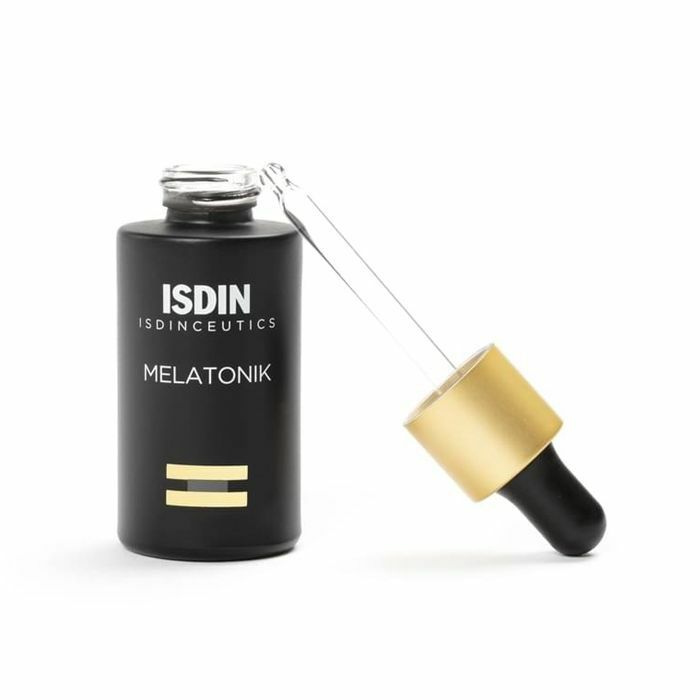 This serum's superior-quality ingredients lead to firming and tightening of skin at the dermal level (unlike a lot of ingredients that work on the epidermis)." As our sister site Byrdie UK reported earlier this year, beauty and skincare products that coordinate and enhance our natural rhythms have already been a trend we've seen within the skincare realm, and it's likely to keep up the momentum come 2019. "Not only is our interest in the world's natural rhythms increasing (such as the lunar cycle), but we're also getting more in tune with our body's rhythms—from menstrual cycles to mood swings. It was only a matter of time before the beauty world jumped on this movement," the article reads. "Beauty is starting to align itself with natural human cycles (like circadian rhythms) and form a connection with hormonal cycles (during maternity, skin and hair texture change radically creating different needs)," explains Victoria Buchanan, strategic researcher at The Future Laboratory. "Products that tap into these natural rhythms to restore balance, aid recovery, and promote health and wellness will become popular," adds Theresa Yee, WGSN's senior beauty editor. Specifically, Samolitis enlightens us on an exciting new product called Melatonik (see above! ), which uses melatonin to enhance the skin's natural repair process overnight and prepare for oxidative stress during the day. "New skincare that is starting to get hot is skincare for the scalp. The scalp is skin too, and it's where your hair is born, so it needs to be nourished from the start," Samolitis tells us. "Similar anti-aging ingredients that we use on our skin applied to the scalp can keep hair healthy and nourished and possibly even diminish signs of hair aging like thinning and graying." We love the above pick from Phyto, which is a serum/tonic hybrid that works to increase the scalp's microcirculation to create the optimum environment for strong, healthy new hair growth. This comes via proven, nourishing ingredients like sulfured amino acids, vitamins, and proteins. Amika's Reset Pink Charcoal Scalp Cleansing Oil ($25) is another top pick recommended by Byrdie's editorial director, Faith Xue. "An exciting new filler technique/product is coming to the U.S. (hopefully in 2019)," Samolitis shares. "Already available in Canada and some European countries, the Skinbooster treatment uses a very thin filler with multiple microinjection droplets over the entire face (or neck or chest or hands—the possibilities are endless) to create tissue hydration without affecting contour. At Facile, we have created a technique similar to this using a combination of hyaluronic acid filler, Botox, and vitamins for overall skin texture smoothing and hydration. 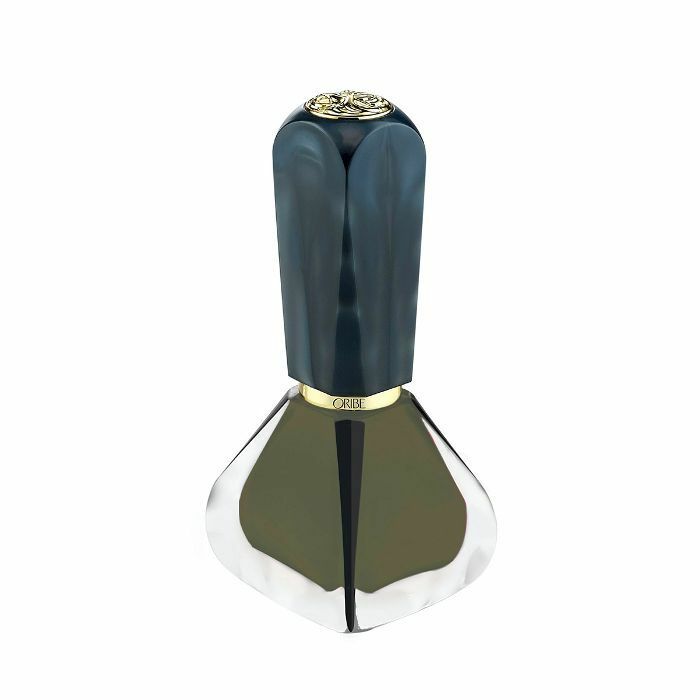 The ingredients are infused into the top layer of skin with fine microneedles. We are working on creating similar treatments that can treat acne, rosacea, facial redness, discoloration, oil production, and pore size. Stay tuned!"